What’s the best way to choose a chiropractor in Gainesville? You’re doing it! Spend some time here exploring our chiropractic philosophy and our patients-centric procedures. After you tour our website designed for Gainesville-area residents searching for a chiropractor, give me a call. I’d love to meet you and explain our unique approach to today’s chiropractic. 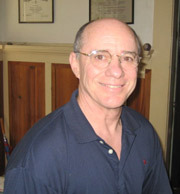 Dr. Steven Schargel is a provider for Blue Cross Blue Shield as well as most other insurance plans. Call our Gainesville chiropractic office today! Can’t wait for my next appointment. The doc was very helpful, intelligent, and humorous! 5 stars! Excellent doctor. Very knowledgeable and personable.Explains everything in detail. Is truly committed to your health and wellness. Fees are extremely reasonable. Just amazing! No words can describe this wonderful place! Very knowledgeable and empathetic practitioner and staff. A pleasure! This visit was arranged by an angel. By telling me he understood my pain and that he himself had gone through the same thing gave me hope. Great visit, thank you. I found your office because I live and work near by. See you Wednesday. Very friendly people that generally care about your wellbeing. Thank you so much for allowing me to be a patient! My back is already feeling better and I can’t wait for my neck to be adjusted! I love the office environment, and after my visit I immediately had hope that my pain would diminish. Very welcoming and professional. Best chiropractor I have ever been to. I was very pleased with every aspect of my initial visit. Dr. Schargel and his staff are wonderful. Warm and inviting atmosphere, instilling confidence and healing. Dr. Schargel is a very gifted healer. Absolutely awesome! They were so helpful and made me fee veryl taken care of. Never have I felt like a member of a “family” in a business. The overall concern taken and willingness to help alleviate the issue is outstanding. Look forward to going back! I really enjoyed that doctors upbeat attitude! He made feel good just being there and talking to him. I have very high hopes for the care that I will receive. Dr. Schargel was very informative about what is wrong and why, and what you can do to help the problem from home.